Here you will find information about the annual BCRR Winter Series Party, monthly socials, race tailgating (e.g. Broad Street tailgate), summer running fun, and other ad-hoc events throughout the year. Thanksgiving is only 9 weeks away! So what are you waiting for turkeys?? 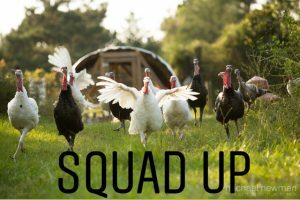 Have you assembled your Squad yet to compete in the new Family Competition occurring this year at the BCRR Thanksgiving Day 5 … [Read more...] about Squad Up!! BCRR Social Wednesday September 19th!! Come One Come All! BCRR Club social immediately following the track workout next Wednesday September 19th at 7:30 p.m. Free pizza, salad and soft drinks for all club members and their guests. (Potential members) Please join … [Read more...] about BCRR Social Wednesday September 19th!! Come One Come All!